Our children are precious to us. 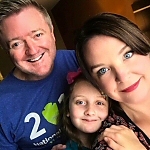 We talk to them about stranger danger, and we baby proof the house! We do whatever we think we need to, to keep them safe! But there are 5 Household Dangers you may be overlooking. Things common to most homes, and yet they can be deadly for children. about three-quarters of incidents involved children under 3 years old. About 80% of injuries occurred after the child swallowed the detergent. Injuries like corneal abrasions can also occur after a child squirts the detergent into their eyes. The problem with “pods” is that they contain a highly-concentrated formula with a higher amount of surfactant compared to regular detergent. These ingredients are more likely to cause serious side effects in children. Another problem is that the products [TidePods and other laundry pods] resemble candy — they are brightly-colored, sweet-smelling, squishy, candy-sized objects that were originally packaged in clear containers that resemble candy jars. If you’ve ever seen detergent pods in person – you know how deceptive they can look It’s easy to see how a child could mistake them for a yummy treat. 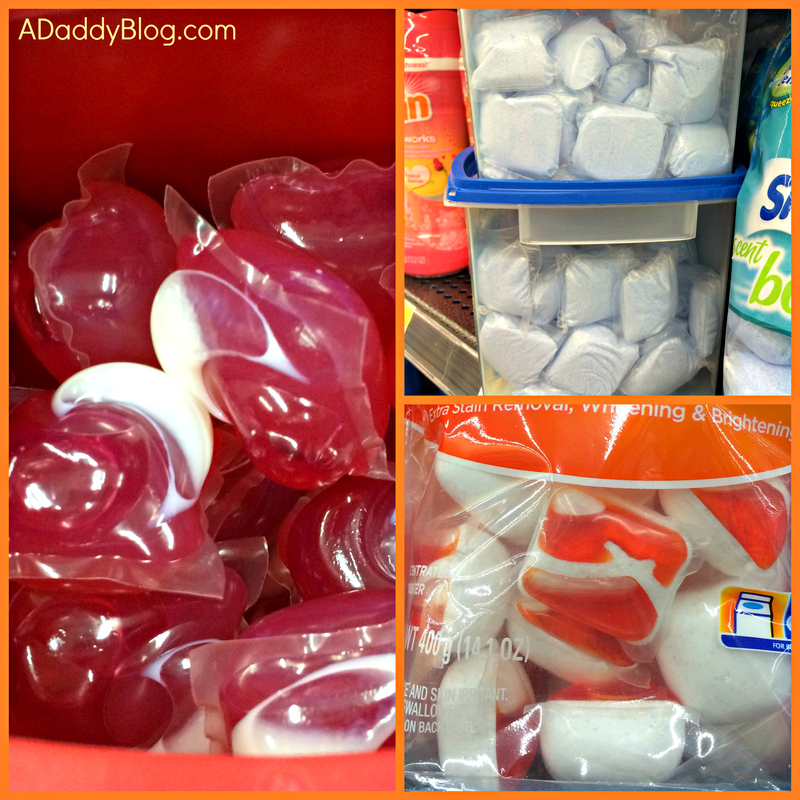 If you use detergent pods – be sure they are kept far away from children! Button Cell Batteries – These tiny batteries look like silver candy, and are often used in kids electronics. Be sure to change button batteries far away from kids, and be sure their toys have locked battery compartments. 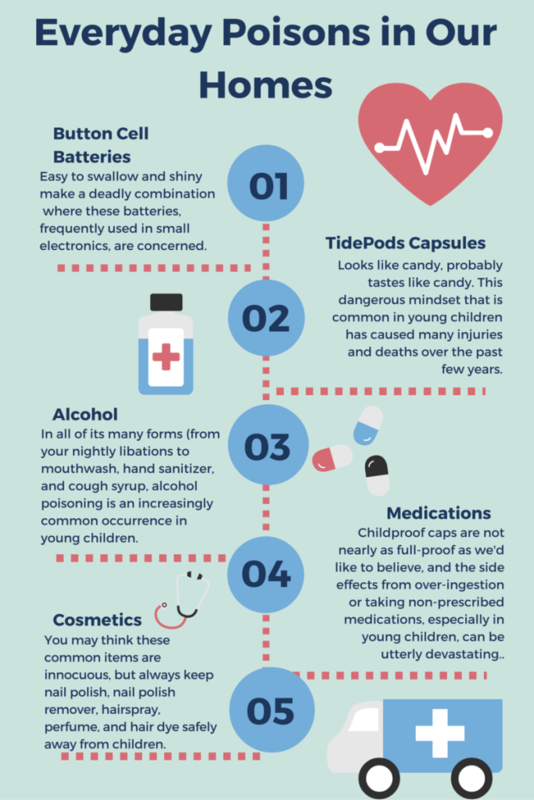 Alcohol – You may know to keep adult beverages away from kids, but things like hand sanitizer, cough syrup and mouthwash all have alcohol in them, that can poison children! Medications – Relaying on the child proof caps of medicines to protect our children from accidental ingestion, is taking a big chance. Those caps can fail, and it can take very little adult medicine to poisoin child. Cosmetics – It’s especially important to keep cosmetics with strong chemicals away from kids. Nail polish, nail polisher remover, and hairspray often have high levels of deadly chemicals in them. We’d like to learn more about the way you interact with household Dangers in your home. You may learn more about household dangers, and survey respondents will now be automatically entered to win a monthly $250 gift card. We’ll be selecting those winners on Oct. 14, Nov. 13th, and Dec. 15th!